A “ghost town” is defined by some as being an abandoned settlement due to a disaster—manmade or otherwise—while others have coined the term for deserted areas that became economically obsolete. In the U.S., ghost towns conjure strong images of the American West, especially because of the iconic imagery found in Hollywood portrayals—dry winds moving through the bones of abandoned structures with tumbleweeds rolling down dusty streets. While evoking a rustic view of the past, ghost towns are actually an empty shell of what was once a bustling town, a stark reminder of a bygone and more prosperous era. Ghost towns, however, aren’t just a relic of the past. Many are getting a second chance at life. Arizona happens to be a state heavily possessed by ghost towns thanks to its rich history in mining. Since most of these towns were former camps or mills that supported local miners, they were abandoned following the closing of the mines. 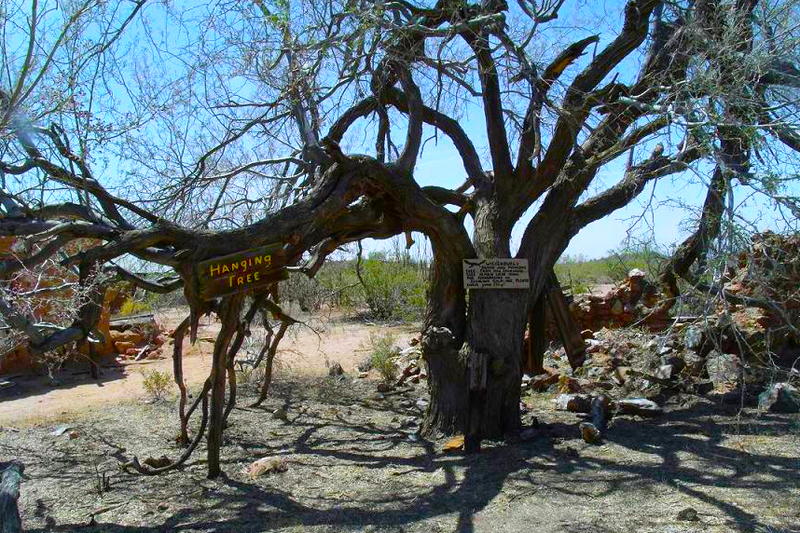 The area immediately around Phoenix hosts multiple locations where locals and visitors can experience a ghost town. Some have been turned into museums while others have been named historical sites, and still others are neither managed nor regulated and are intended for only the bravest explorers. Here are some of the best ghost towns around Phoenix. On the north slope of South Mountain Park in South Mountain Village, the Max Delta Gold Mining Co., sometimes referred to as the Ace Mine, began operating in 1913 to extract gold and other minerals. The area included 2,500 feet of tunnels and a 500-foot main shaft. According to an article in the Arizona Daily Star, the mine was, at its height, the second-largest gold producer in Maricopa County. After an order issued by the U.S. War Production Board in 1942, declaring gold mining nonessential for the war efforts, the mine was shut down. According to some who have explored the mines recently, there are two cement structures remaining with seven imploded caves on the site. However, there is one remaining cave with a small, four-foot-high opening. Though we do not recommend going inside the cave for various reasons—not limited to the presence of mountain lions, rattlesnakes, and the general hazards of exploring unregulated areas—it is inspiring to stand on such a historic landmark. 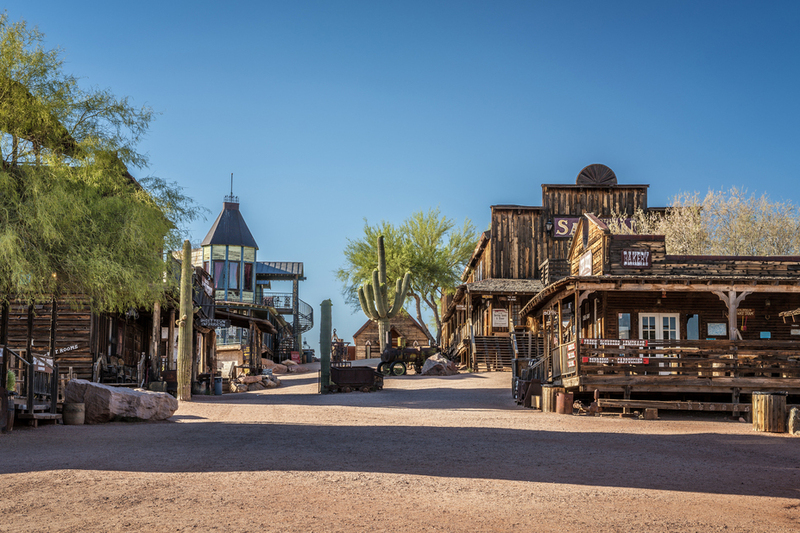 Goldfield in Apache Junction is a great example of an historic ghost town that has been commercialized and given new life. A town built around the successful mining of ore in the 1890s, it housed three saloons, a school house, general store, and butcher’s shop. Just when the town believed it would outgrow neighboring Mesa, the ore vein faulted and the town dispersed. Several attempts were made between 1910 and 1926 to reestablish the town but none were successful. Today, the site attracts people from all over the world. Visitors can explore the historic buildings, tour the gold mine, and learn about the history of mining at the Goldfield Museum. Children can pan for gold while the Goldfield Gunfighters reenact wild west life in this historic site. In North Gateway stands the Pioneer Living History Museum, another ghost town turned into a popular tourist attraction. With 30 historic and reconstructed buildings from the 1800s to the early 1900s, the town is a sight to behold. Over 90 acres have been preserved to show what pioneer living was all about. And though specific details about why the town originally crumbled are unclear, the village’s museum has received national recognition for preserving American heritage. Highlights of the town include the Opera House, built in the 1870s, and a stage for opera singers John Drew, Jr. and Lillie Langtry; the Gordon School, which was in use until 1930; and the Flying “V” cabin with notched gun ports used during the infamous Battle of Big Dry Wash, which was the last Apache war in the area. 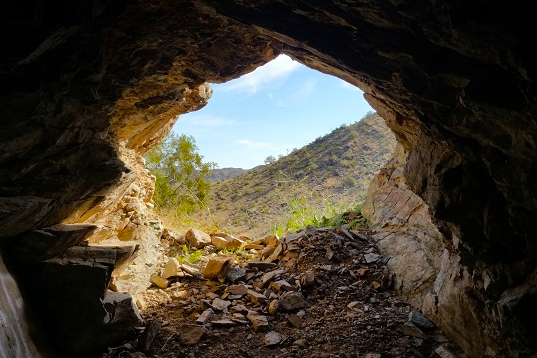 Just south of Rancho De Los Caballeros in Wickenburg is the Vulture Mine. After Henry Wickenburg discovered gold in a quartz deposit in 1863, a town shortly followed, which eventually saw its population soar to around 5,000. The town boasted a saloon, brothel, mess hall, and even a tennis court, and was successful until it was suddenly shut down in 1942 by a regulatory agency for gold processing. The mine appealed, noting the gold efforts were for the benefit of the war, but it ultimately lost its appeal. 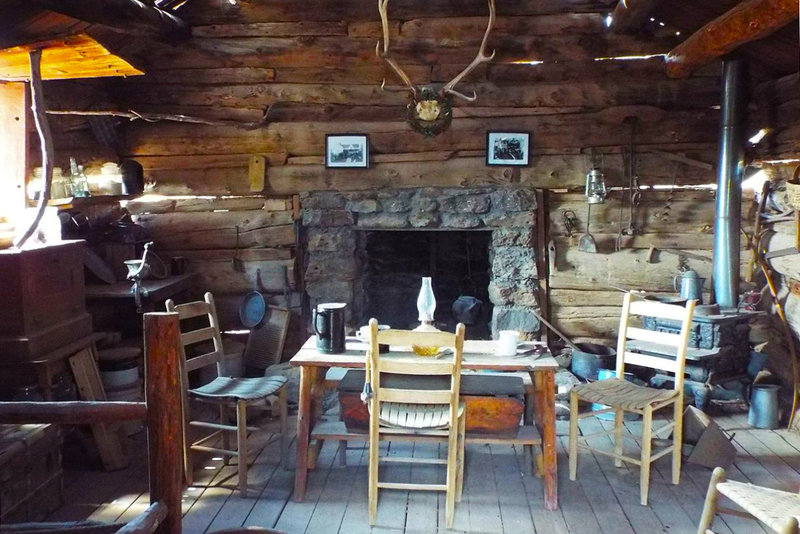 Today, visitors can tour the mine on weekends, unguided but supervised, on a half-mile trail that winds between remaining buildings and artifacts, including Henry Wickenburg’s cabin. The site is closed to the public during off hours. Rounding out the best towns is a ghostly adventure—if you’re in the mood for a hike. Just east of Mesa in the Tonto National Monument lies the Tonto Indian Ruins. 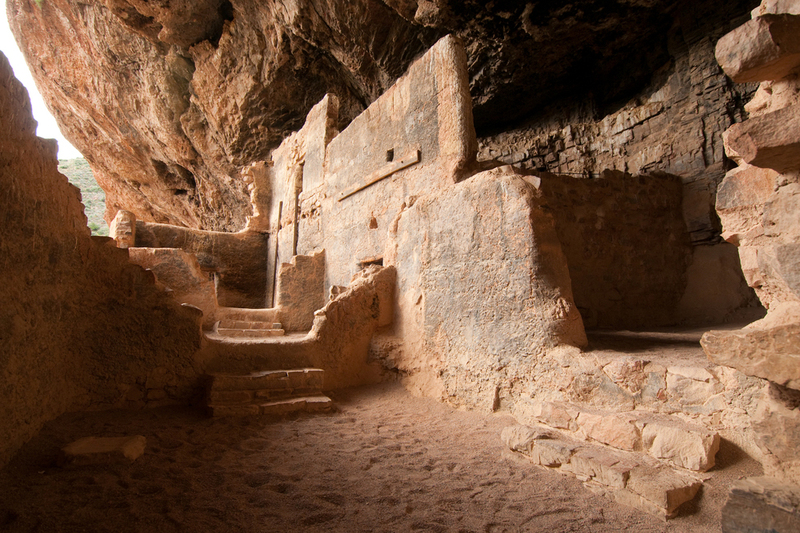 These unscathed Upper Cliff Dwellings, occupied from the 13th to the 15th century by the Salado culture, are available for viewing. Listed on the National Register of Historic Places in 1966, the site is thoroughly protected as one of the best places to view native people’s craftsmanship and excavated artifacts in the visitor center museum. Tours are available for the Upper Cliff Dwellings, but the three-mile hike isn’t for the weary or children. Climbing 600 feet in elevation, the path is uneven and rocky. But if you’re up for it, along the way are several stops that discuss the desert ecosystem and prehistoric people.